Minority Opinions: Up, down, up, down, up, down. So, yesterday was my birthday! I turned twenty-six! Yup, happy birthday me! I didn't die in the 365 days between my last birthday and my latest one. But it also meant that I didn't blog, which means instead I have to do it on the weekend, which is something I just don't do. I am not pleased. But alas, that is what is to happen. 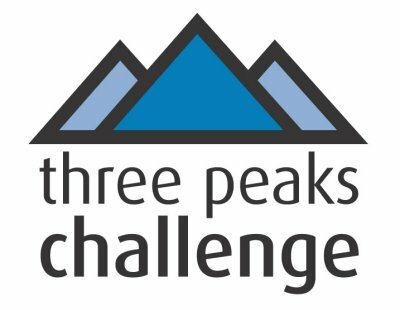 SO for a while now a friend and I have been talking about the three peaks challenge in GB. It's three hikes to the top of the three tallest mountains in England, Wales and Scotland. The mountains aren't particularly large compared to the mountains in other countries, Scafell Pike is 987m (3210 ft) Mount Snowdon comes in at 1085m (3560 ft) and Ben Nevis is 1344m (4409ft). The trick isn't doing all the walks, it's the time limit. they are miles away from each other. There's 465 miles of driving to be done (roughly 10 hours by current driving laws) each of the climes are supposed to take about 5 hours each and you only get twenty-four hours to do it. I bring this up because during this week my friend signed us up to do it for charity (Royal national Lifeboat Institute and Rescue global I think, but I didn't get a choice in that matter) on the 27th of July. It should be really fun and exhausting and while I hope I get a job I'm going to have to take time off around then, I can't see myself doing all that and being able to get to work the next day. I just don't work that way! I have been thinking about what sorts of things I'll need and I'm thinking I should replace my hiking books, get some warmer trousers and one of these bags to carry a bottle of water on each one as well as a couple of energy bars, just in case. Anyway, it should be awesome, expect me to start asking for sponsorship as soon as I know how!